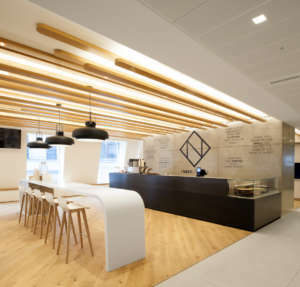 Spread across four pavilions at Berkley Square, Vodafone sought to provide a village for staff, making sure they have facilities to not only help them work, but also supports their personal lives. 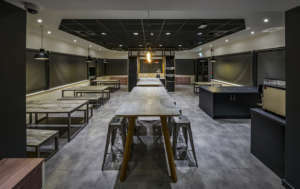 Spaces were provided to allow staff to socialise inside and outside of working hours, including a full fitness studio. 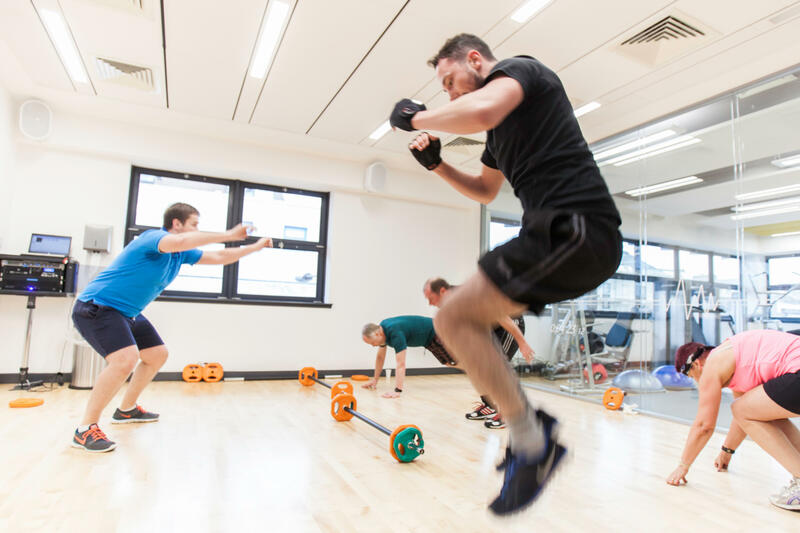 After all, what better way to connect with your colleagues than sharing a bit of sweat? 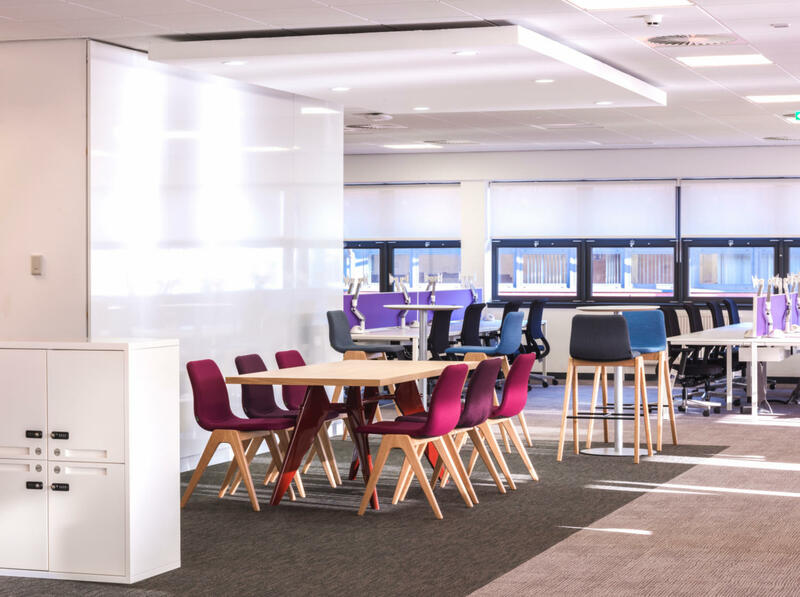 Since the refurbishment, staff are now coming to work earlier and staying later to make the most of their new facilities - allowing them to truly embrace the agile working environment. 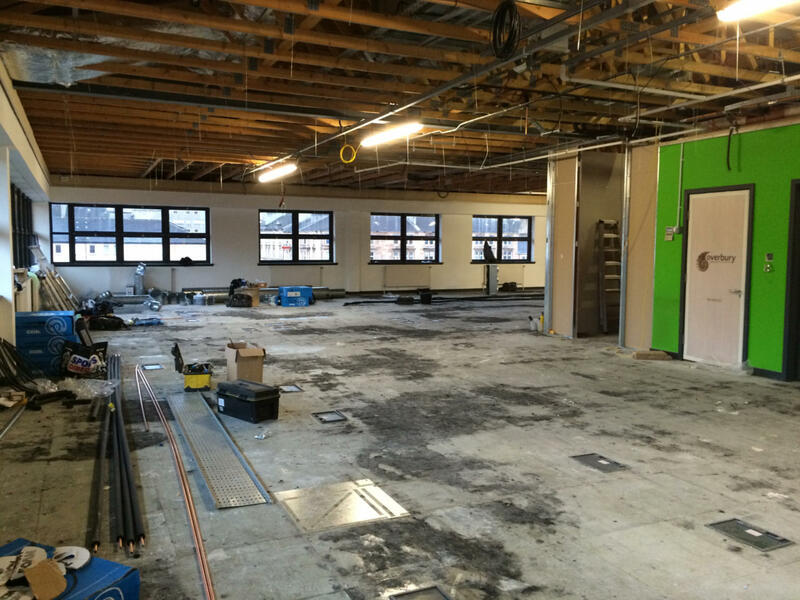 The project was carried out whilst the site was fully occupied. 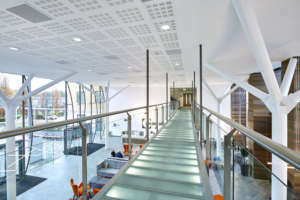 We agreed on condensed working areas within different pavilions, which created a swing space that allowed the works to be carried out over a number of phases. 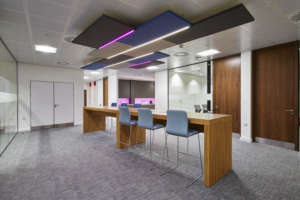 As with any business, their teams grew and changed over the course of the refurbishment, so we were able to adapt the design to accommodate changed team structures by the end of the project - making sure everyone had the space they needed. 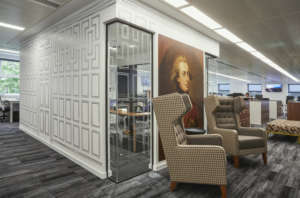 A core feature of the refurbishment was to facilitate collaborative and activity-based working. 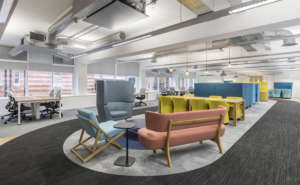 A variety of activity-based working spaces were provided next to traditional workstations, providing staff the option to choose where and how they wanted to work. Standing high-tables are available for quick touchdown meetings while larger communal tables are great for longer collaborative sessions. 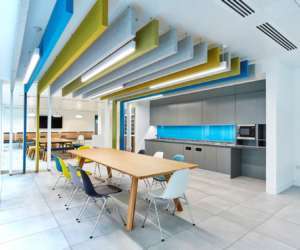 Different areas were demarcated by changes in carpet and ceiling structure, so each area have a distinctive feel. 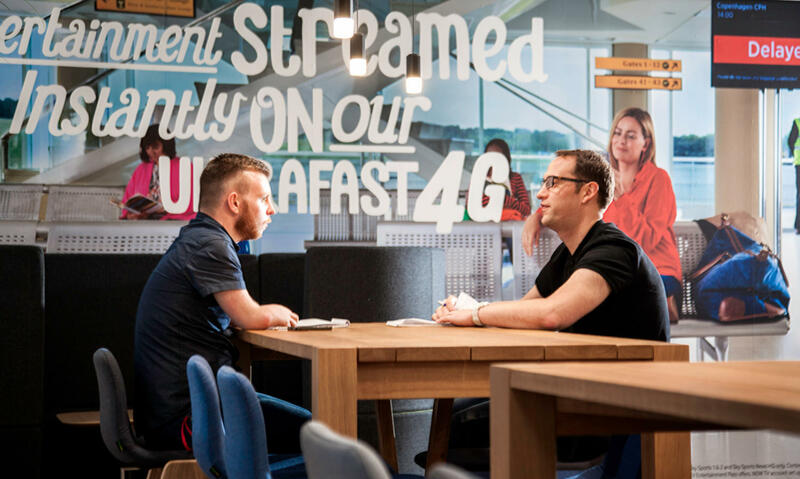 Since their office transformation, Vodafone’s staff have noticed significant improvements in the way their teams work and engage with one another. 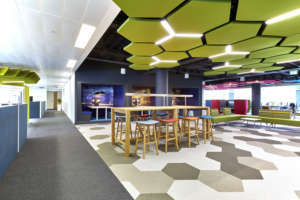 They’ve seen an increase in teams organically engaging with each other and collaborating more freely throughout the office. This is facilitated through the new open plan offices, breakout areas and meeting rooms with state of the art video conference facilities. The regeneration of the Berkeley Square site has impacted and improved the way in which teams work and engage with each other.